I am a Health & Empowerment Coach helping people be free from pain and empowering them to make changes in their lives. A typical client would come with a health issue, i.e. headaches, digestive problems that have been chronic for a while – I am literally their last chance! I have amazing results because I see beyond the physical illness and treat the emotions that are behind so that the client has an understanding of how their physical symptoms manifested. I truly treat the whole person, they are not just a headache to me, they are an amazing person who has just lost their way in life. I love to see clients come back free from pain – I had a client who suffered from severe headaches for over 25 years. After working together to find the root cause, she became free to move forwards and make positive changes to enable her to live the life she wants, and as a result the headaches disappeared. I love seeing a client move from being totally stuck to flying forwards with ease. It’s great to see how many positive changes can be made within a short space of time. I also love working with clients, particularly women, to give them hope and encouragement. To date I have treated over 400 clients – some as far away as Australia. I can hold sessions via skype, as long as I can connect to the person’s energy and have permission to do so - it doesn't matter where you live. 12 years ago my sister was killed when I was 8 ½ months pregnant with my third child. I very quickly fell down into depression and anxiety which I beat naturally. I didn't want to take tablets and feel ‘disconnected’. I want to show people that there is another way to treat stress, depression and anxiety, you can do it with a shift in mind set. 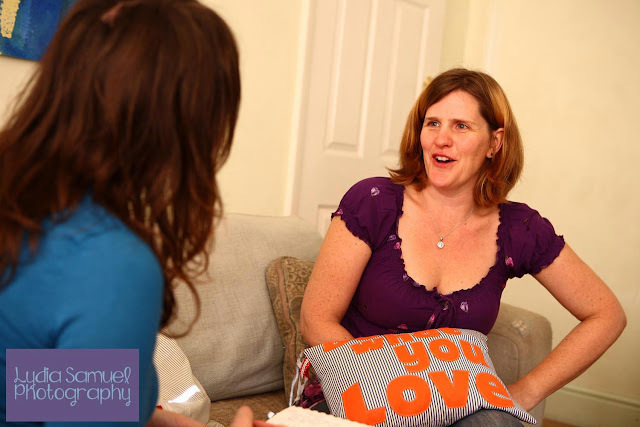 When I was very poorly and down, there was no-one to help me through it until I found holistic therapies, they were my saviour and so I want to share my experience with others. You can do two things in a tragic situation – wallow and become a victim or make positive changes in your life – I choose to help others break free from their pain and struggle as sometimes clients aren't in physical pain but emotional pain too. I don’t follow a set process, as everyone is different. The first 10 minutes are key and I've got to a point now that by using my experience I’m able to really look underneath the problems that people come to me with. They may come telling me something that they believe to be the problem, but once I've been able to see them and talk to them am able to get to the root of it – and more often than not it’s something completely different to what they think or expect! For a lot of people their ‘story’ that they repeat over and over becomes part of the problem and just by stopping telling that ‘story’ and helping them to learn how to think differently can have a profound effect. I tune in to what they really need and that’s where my work begins. Also, I don’t take any crap! That might sound harsh, but it actually helps people to get ‘out’ of their victim story. This really empowers people as they need to be able to actually ‘own’ their problem and take responsibility for it rather than being a victim. That’s a very important concept to grasp. These can be harder than they sound! At the moment I mainly work with women as they seem to be able to accept these concepts more readily and appear to be more emotionally open to the work I do. I’m not discounting working with men – but this is the experience I’d had so far. There needs to be a great deal of trust between myself and my client as they need to be able to feel comfortable telling me everything. Getting out there and letting people know what I believe in, helping those who are looking for something different – but I can’t help everyone. They have to be ready. Marketing myself as well as working ‘in’ the business as well as running the business. Which are two different things really. Being able to help so many people that thought there was no hope. When people come to me they tend to be at their last stop before that point of no return. It’s a frightening place to be, having been there myself. Being able to use that experience alongside what I have learnt is really what makes this so important to me. Being actually able to change peoples lives for the better is amazing. You need to learn how you body works and how everything interacts. Your body is telling you a message and you need to listen. You have the solution. All the answers are inside. If you start looking externally for the answers then you are in trouble. It was actually something my acupuncturist said to me while I was having treatment myself. He said ‘I see this all the time.’ Those few words gave me so much hope and really kept me going knowing that I wasn't the only person feeling like this. I felt like a huge weight had been lifted. Also being advised that I don’t have to be ‘perfect’ to be a therapist. That was something I had strived for – but know now that’s not realistic and any good therapist has been on a journey! And can share those experiences to relate to my clients. What have you learnt about yourself as a result? A huge amount. Every client you see reflects something back to you. If I’m not growing as a person and a therapist then I’m not going to be able to help my clients. The learning never stops and it’s not easy, but it has been the most worthwhile thing I have ever done. 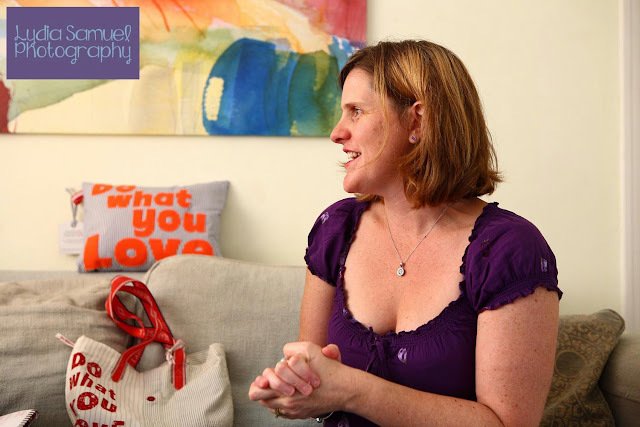 I use kinesiology as part of my practice and have learnt to trust myself and my inner voice. That took me a while to do as for a long time if something popped into my head I would question it and doubt it. But one particular client really changed that. I kept getting a message ‘hand bags’ every time I saw her. Eventually after a few sessions I just came out with it – and she just looked at me and said ‘how do you know about that?’ suddenly everything changed for her. It turned out this lady had 300 handbags in her wardrobe! She had been hoarding them and keeping them a secret. I’m pleased to say there are so many, but one in particular stays in my mind. I have just finished a 3 month program with a lady who had been suicidal for over 2 years before she came and saw me. After working with her for a while I witnessed the most amazing transformation. She told me that her depression was lifting and that it was as if a huge weight had been lifted. She has gone from strength to strength since then. 'Stick at it, Get yourself a mentor and learn to develop your own way,' advises Ann. Stick at it - it’s not easy. I’m the only one from my class of six actually putting what I learnt into practice. Look at where you choose to train and what they are teaching. Get yourself a mentor. Learn to develop your own way. And from a business perspective – understand how that works and especially marketing as there was no business element to my course. To create a community of people where you can go and be who you are without fear. A safe place to offer support, as that is one of the key issues I've witnessed in my practice, a lot of people have a real lack of support and feel so alone. I’m also in the process of writing two books which I hope will be published with Hay House. One of my all time favourite and inspiring books is ‘You can heal your life’ by Louise Hay. I would recommend that everyone read this. I’d love to be the next Louise Hay or Tim Robbins! I’d also love to have a regular health agony aunt column where I can help even more people. In fact I was asked to write a piece for Natural Health recently which was fantastic – I’d love to do that on a regular basis. Lastly to continue to share my passion of helping others and if this project allows me to inspire one person to change their lives for the best then it would have been worth it. I don’t want anyone to struggle with health issues, emotional or mental health. I want to tell people that there is hope. I hope you enjoy reading this series of interviews, and that it will inspire you in some way to pursue your dreams and ‘Do what you Love!’ (that is if you aren’t doing that already! - if you are - do let me know by leaving a comment about what you do and why you love it! ).